Here she is! In full splendor! 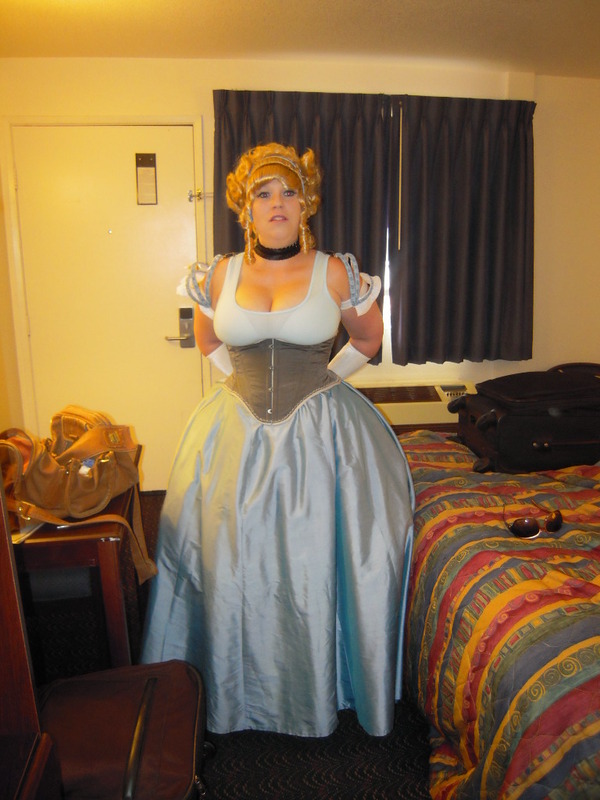 My friend B rocked her new cincher as we walked around the San Diego Convention Center for Comic Con. It fit really well and she seemed happy with it, so yay! We’re already talking about the next project. I’ll be writing more about my own costumes in the next couple of weeks. And I already know how I’m going to add to the Snow White costume. Can anyone say red cape? I can not wait to see a red cape, yay! And I LOVE my waist cincher! I’m SO glad you like your cincher, B! So glad. I love it, too. You know I wanted to keep it. hehehe. Not kidding. 🙂 I totally have to make this red cape. Have to!